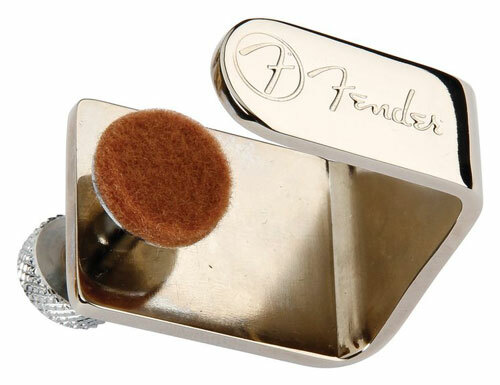 Instantly add more sustain and tone to your guitar with Fender’s Fatfinger. By clamping the Fatfinger on the headstock of your instrument (no tools needed), it will enhance the overall tone and note-to-note response of any electric or acoustic guitar. It adds mass to the weak end of the instrument, so strings ring out longer, louder, and with more balance. Works on any electric or acoustic guitar.